The Forex market has rapidly grown in popularity over the years with a wide range of investors and traders partaking in it to make a living. According to a recent survey by the Bank of International Settlement (BIS), The Forex daily turnover in 2016 was a staggering $5.2 trillion, making it the biggest market in the world. Even with these impressive numbers, it’s a daunting task to make profits off the currency trading domain because of the hard-to-predict price movements. Which is why a strong knowledge of the domain is key to trading currencies profitably. Forex trading books are treasure troves for extensive knowledge in the currency trading landscape. 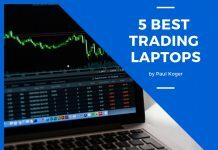 We’ve taken the time to highlight the 10 best Forex trading books you must read in order to trade currencies like a Pro. 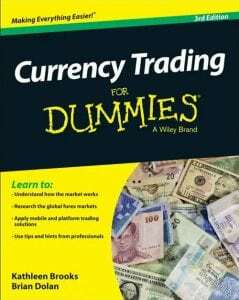 This is a must-read book for any new trader in the currency trading world. It lays out an easy-to-understand guide on how to navigate the rapidly growing yet volatile Forex market. It was authored by Brian Dolan, a renowned figure in the Forex trading world. So you’ll be sure you’re getting invaluable Forex trading tips from an expert. In fact, he has been working as a currency analyst and trader for over 20 years. 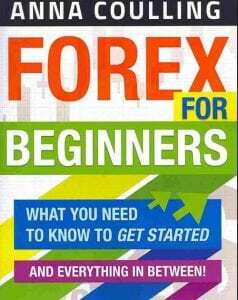 This book is not just limited to beginners in Forex trading. Budding and experienced Forex traders can also harness updated information on the latest currency developments to enable them to stay on top of the forex trading game. This book was written by Kathy Lien, one of the most revered currency analysts on the globe. She has been featured on some of the most popular financial news outlets in the world, including CBS, CNBC, Bloomberg, MarketWatch, and Reuters. With her extensive experience and expertise in the currency trading landscape, her book will help you grow as a Forex trader and currency marketer. You can start trading Forex like a Pro in only a matter of months. The book is chock-full of information, including both theory and actionable strategies to shorten your learning curve as a Forex trader. Kathy’s book educates you on the various shorting strategies, the strategic factors that affect the value of currency pairs, and how to read and understand the various currency markets. If you’re a prospective or a beginner Forex trader, this is a book worth adding to your arsenal. This book is worth reading because it teaches you everything you need to know as a beginner Forex trader. While it’s not her first book, it’s the cream of the crop of her Forex trading books. It provides extensive introductory knowledge on the domain of buying and selling currencies. Her first two books are adapted to those who have already gotten a foothold in the Forex trading market. Ideally, it will provide you a good foundation as a beginner Forex trader. Thirty Days of Forex Trading is adapted to both full-time traders looking to make a living off Forex trading, and part-time Forex traders looking to make extra cash. Written by Raghee Horner (one of the most respected Forex traders and an experienced and expert teacher in Forex systems), this book talks about her experiences in the field. It gives you a step by step walkthrough on how she traded real money in a month. 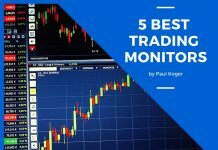 The introduction takes you through all the strategies she used while trading real money, including the entries, exits and the detailed explanation of the strategies. She also shows you the different trading styles she deploys, such as swing, momentum and wave/CCI, as well as order types, such as stops, limits and conditional orders. You’ll also learn about time-tested indicators like CCI, MACD, The Wave, and trendlines. After the first episode of walking you through the tools she uses, she drives down to point out precisely what she does every day to unmask profitable opportunities in the Forex space. With this book, you’ll not only learn how to enter and exit forex trades profitably, but also get to learn how to ask and answer questions that will help you progress as a Forex trader. 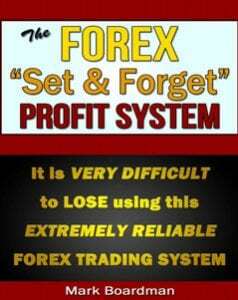 The Forex “Set & Forget’’ Profit System was written by Mark Boardman, a businessman by nature. In fact, he has been running his own businesses since 2003. However, these days, he trades part-time and runs his own Forex Trading Rooms. Mark may not be so popular in the Forex trading landscape, but his book is a great resource for those who want to take their Forex trading skills to the next level. 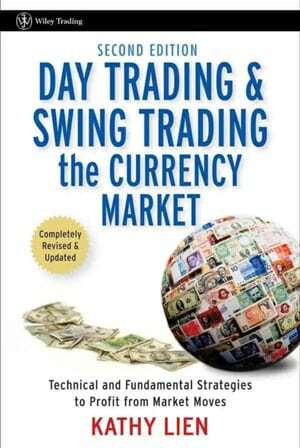 The book is adapted to those who have a firm foothold on the currency trading domain. Mark Boardman narrates how he unsuccessfully traded foreign currencies for 5 years before he turned it around by discovering the simple yet profit system called “Set & Forget’’. This has allowed him to make profits consistently for 3 years. Over the gloomy 5 years, Mark Boardman invested in various Forex Trading Systems and experimented with various indicators and Forex Trading Signals. Despite all those efforts, he didn’t make any money in the 5 years. However, things started breaking his way when he discovered smart Forex trading strategies to make higher profits. And that’s what incited him to write this book. 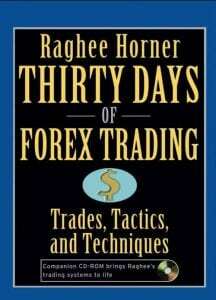 Reading this book will open a whole new world of Forex trading possibilities for you. You’ll learn 2 radical concepts that will utterly transform how you see the Forex market. You’ll also learn the reasons why the Forex Market is the best to invest in today, and why Forex trading is simple, despite many people saying otherwise. and how to use his awesome “Set & Forget’’ profit system’’ to enable you to trade profitably in just an hour or a day. As the title, The Forex “Set & Forget’’ Profit System, suggests, it’s next to impossible to lose with this proven Forex trading system. 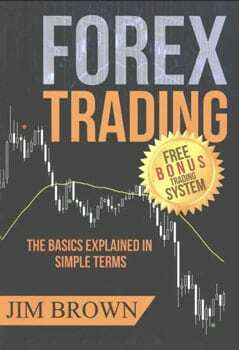 “Forex Trading: The Basics Explained in Simple Terms’’ is a book written by Jim Brown, a full-time Forex trader. Jim began showing interest in Forex trading in 2002 after attending a stock trading gathering in a private residence. Since 2002, Jim Brown has traded the old fashioned way that involved manual charting, trading on numerous screens to venturing into the domain of automated systems. So when he says he has extraordinary experience and expertise in that line of business, you better believe it. This book is adapted to prospective Forex traders who have no idea where to start, considering there is overwhelming information about the same online. It’s good for those who want to get to grips with the basics of buying and selling currencies for profit. Its explanations are simple and clear that anyone who knows nothing about Forex trading can understand. and tips for selecting a broker. The book also talks about the risk-reward ratio, the kinds of orders, trading psychology, day trading, momentum trading and more. 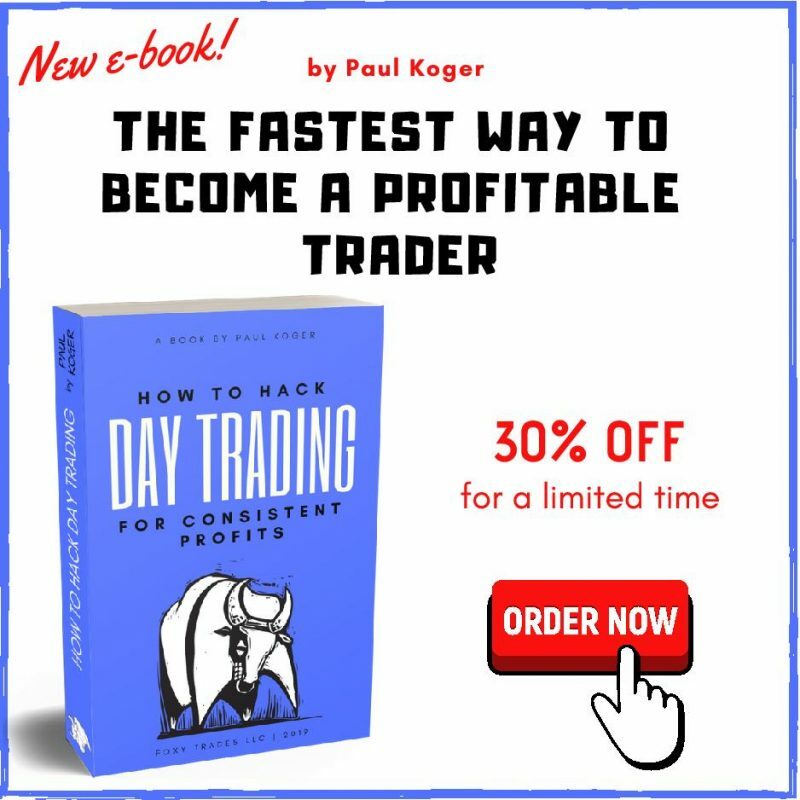 Also, if you buy the book, Jim Brown offers you a free Bonus Trading System, as well as video content with step-by-step instructions on how to upload the indicators. 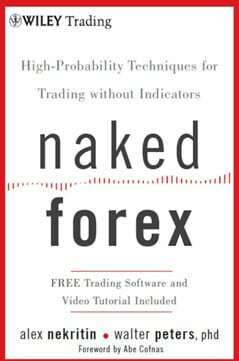 Naked Forex was co-written by Alex Nekritin (the current CEO and President of TradersChoiceFX) and Walter Peters. It takes you back to the old ways of Forex trading: Trading without technical indicators. This was before the age of calculators and computers. Traders who rely on technical indicators concentrate on the indicators, while traders using naked techniques concentrate on the price chart. The book is adapted for newbies and lost traders who want to navigate the Forex trading landscape without the help of technical indicators. 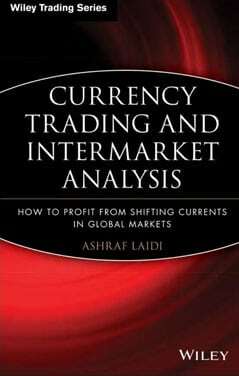 Ashraf Laidi is the author of “Currency Trading and Inter-market Analysis.’’ He is currently the Chief Global Strategist of City Index/ FX Solutions. He has extensive experience and expertise in mentoring multi-currency global bond and equity portfolios. His book delves deeper into the technical aspects of forex, buying and selling of foreign currencies and Intermarket analysis. So it’s suited to those who have some knowledge of Forex trading. It’s a fact that microeconomic and macroeconomic factors play a significant role in determining the value of currencies on the globe. This book helps you understand these factors in detail and the ways in which they work to influence the value of currencies. It also shows you how to discover opportunities in the currency movement, and take positions. Written by Laurentiu Damir, this book teaches you, in a simple and straightforward way, how to make profits in the currency trading market consistently. 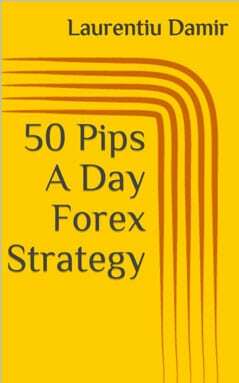 Like the title suggests, “50 Pips A Day Forex Strategy’’ will make you 50 pips each day or more. It’s adapted to the beginner Forex trader. However, accustomed Forex traders can also get invaluable tips to take their Forex trading skills to the next level. The key Forex trading strategies you’ll find in this book include moving average, candlesticks and support and resistance. Besides those strategies, 50 Pips A Day Forex Strategy also encompasses a handy guide. It walks you through the process of putting up a profitable forex trading system for yourself. In this book, you’ll also find tips to mitigate financial mistakes. So if you’re a Forex trader and are not getting profits consistently, this book provides you the reasons why. 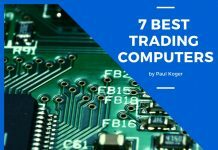 This book was written by Cliff Wachtel, the current Director of Market Research, New Media, and Training for Caesartrade.com. The book is dedicated to helping Forex traders and investors make it in the volatile Forex market. It contains valuable content that walks them through the process of achieving their Forex trading goals with less time and effort. In other words, the book centers on helping traders to minimize the high risks, time demands, and complexities common with Forex trading. It also helps long-term investors to reduce currency risks by diversifying their portfolios into strong currencies that are not heavily affected by market volatility. 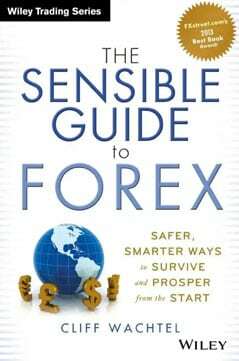 The Sensible Guide to Forex actually talks a lot about planning and executing only low risk, high-value investments or trades, as well as dodging heavy losses at any cost. So, for any knowledgeable investor, this book can help them take their Forex trading skills to a whole new level. While Forex trading is the most liquid, dynamic and exhilarating market on the globe, it is littered with risks. Currencies change in a matter of minutes or seconds, so, if you take the wrong position, you could lose big time. Therefore, to be on top of Forex trading and make profits consistently, you have to get to grips with how the entire Forex market works and how currencies move. One of the surefire ways to achieve that is to read books written by successful Forex traders. Happily, we’ve done extensive research on your behalf and come up with a list of useful books to get you started.